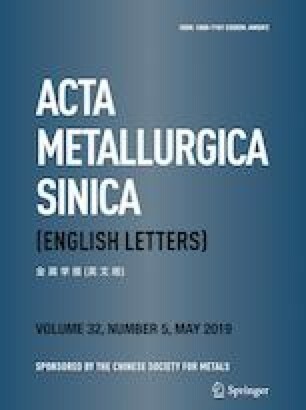 As-extruded Mg–Sr alloy, a kind of promising biodegradable biomedical material, was coated using micro-arc oxidation and also using a phosphate conversion coating. The corrosion behaviors were investigated using Hanks’ solution. The corrosion of the as-extruded Mg–Sr alloy became more serious with increasing immersion time; that is, the corrosion pits became more numerous, larger and deeper. The micro-arc oxidation coating and the phosphate conversion coating were effective in improving the corrosion resistance of the as-extruded Mg–Sr alloy. The micro-arc oxidation coating was much more effective. Moreover, the as-extruded Mg–Sr alloy and the coated as-extruded Mg–Sr alloy exhibited lower corrosion rates than the as-cast Mg–Sr alloy and the corresponding coated as-cast Mg–Sr alloy, indicating that the corrosion properties of the coated samples are dependent on their substrates. The finer microstructure of the substrate of the as-extruded condition corroded much slower. The corrosion resistance of the coated Mg–Sr alloy depended on the coating itself and on the microstructure of the substrate. The study was financially supported by the National Natural Science Foundation of China (No. 51874368).